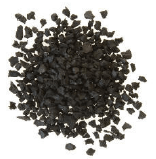 Crumb rubber is made by reducing scrap tires into small, uniform granules. Inherent reinforcing materials, such as steel and fiber, are removed, along with other types of inert contaminants, such as dust, glass or rock. 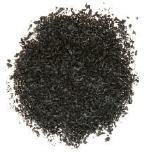 Liberty Tire Recycling has the nationwide capacity to produce more than 350 million pounds of crumb rubber annually for a wide variety of commercial applications. Who doesn’t like a smoother, safer and quieter ride? Crumb rubber can comprise 15-22% of the mix in rubberized asphalt for highway construction. Rubberized asphalt highways reduce tire noise, last longer from improved resistance to cracking and rutting, and use significantly less paving material than traditional asphalt. Rain or shine, a recreational field using crumb rubber infill is always ready for action. Crumb rubber enhances the performance of a variety of playing and sports surfaces, including sports fields, running tracks and equestrian surfaces. Crumb rubber adds impact-absorbing cushioning to protect athletes and children. Surfaces incorporating crumb rubber dry quickly, drain excess moisture, reduce dust and mud, and minimize freezing. 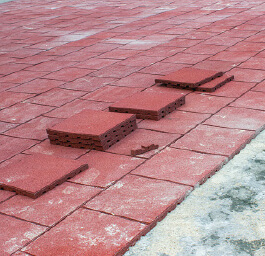 With recycled equine pavers, the equine performance industry reported noticeable improvement in movement, flexibility and hoof quality, and a reduction in fluid retention. New age pavers are less than 1/6 the weight of old padded materials, saving fuel and cost in transportation.